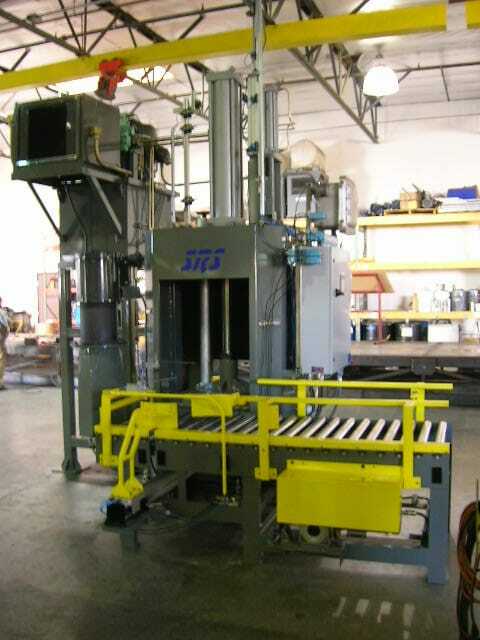 SRS Designed Equipment’s drum washer/crusher system (DWC-Series) is designed for applications that require washing of the drums prior to crushing the drums for disposal. Instead of a separate drum washer and a separate compactor, the drum washer/crusher accomplishes both the jobs in one unit – thus saving time and money. 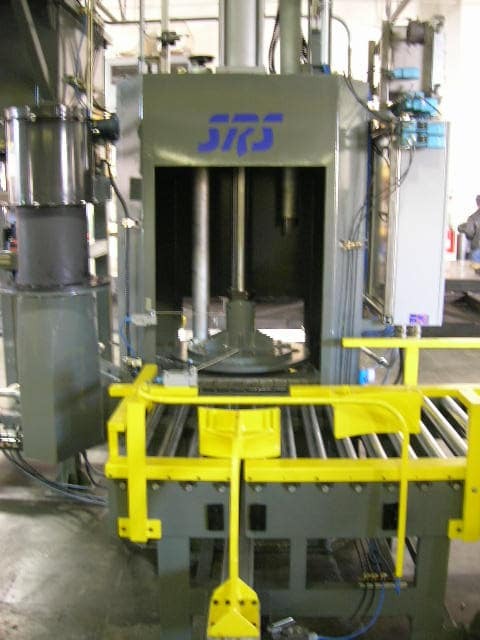 SRS’ Drum Washing/Crushing systems (DWC-Series) are custom designed to suit the customer’s unique application and requirements and can be developed for aqueous or solvent applications. The Drum washer/crusher unit can also accommodate triple-rinse and other such EPA handling and disposal requirements. The conveyor option is an inline automatic feed drum washing/crushing system which indexes the drums into position. 6. After the wash, the dolly moves the drum to the crushing area, where it is crushed with a 60,000 pound compactor in position #4. 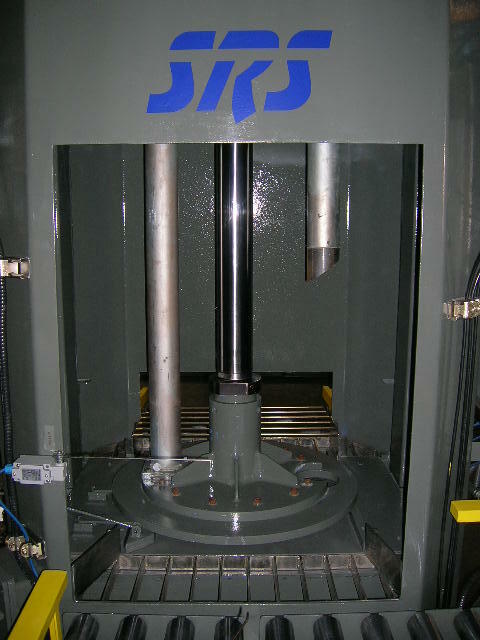 This reduces the drum to a height of 3-4 inches (depending on the steel gauge of the drum). This system is constructed of stainless steel and comes completely assembled and pre-tested ready to be installed in place.